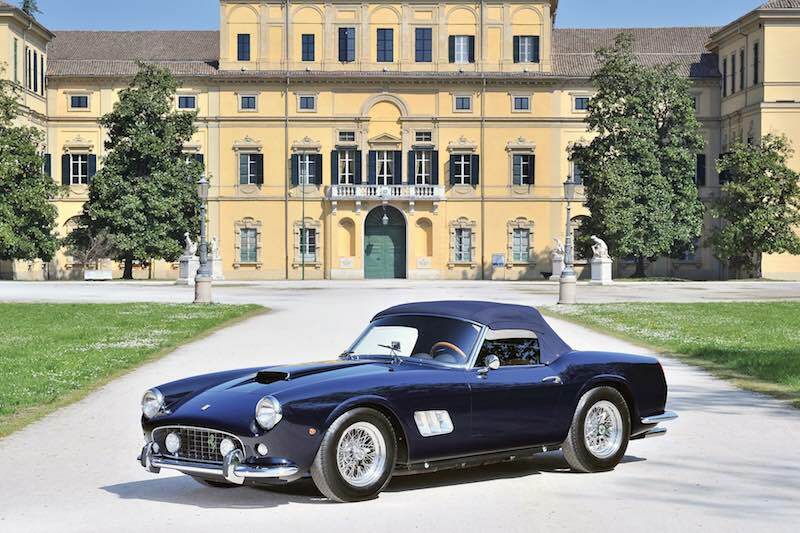 A 1961 Ferrari 250 GT SWB California Spider will headline the RM Sotheby’s Villa d’Este 2015 auction, scheduled for 23 May at Villa Erba in Lake Como, Italy. 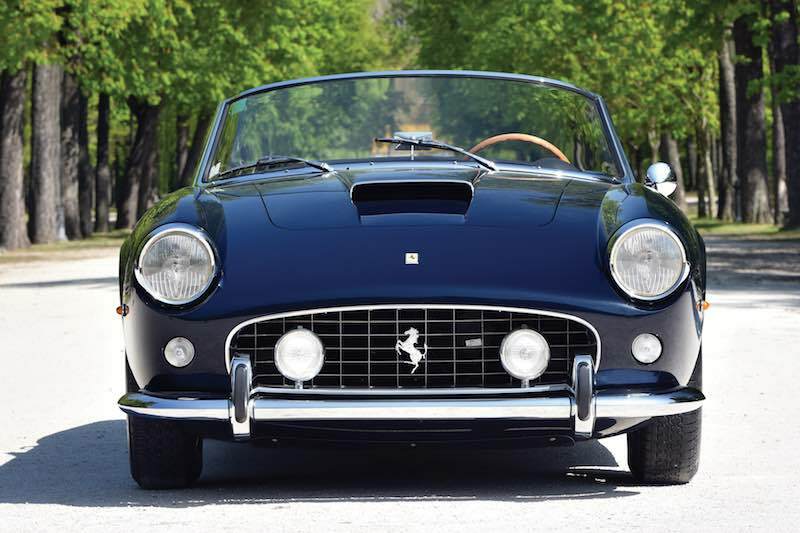 The California Spider leads a roster of 37 of cars, along with two vintage Riva boats, at the auction held during the Concorso d’Eleganza Villa d’Este. 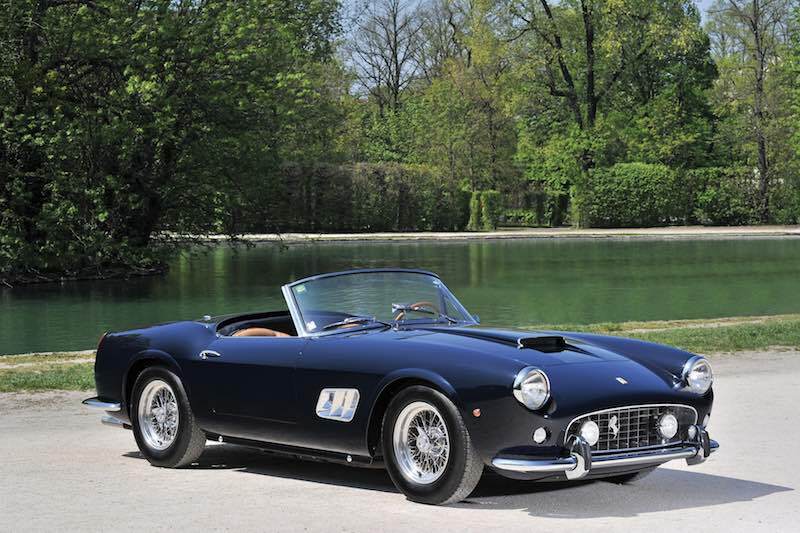 The 1961 Ferrari 250 GT SWB California Spider on offer at the 2015 RM Villa d’Este sale, chassis number 2505 GT, is one of 16 open-headlight versions, and the 18th of 56 SWB California Spiders produced. Unlike most examples that were delivered to the United States, 2505 GT was a European delivery car, sold new by the official dealership in Milan. It remained in Italy up until 1974 when it was sold to a Swiss collector, who kept the car for the next 20 years. In 2007, its current owner returned the car to Maranello for a full restoration by Ferrari Classiche. As part of this process, all mechanicals were fully re-built and it was refinished in Blu Scuro over a Pelle Beige interior. The California Spider went on to appear at the Ferrari Challenge World Finals in Valencia in 2010, where it was driven on the parade lap by Ferrari President, Luca di Montezemolo. 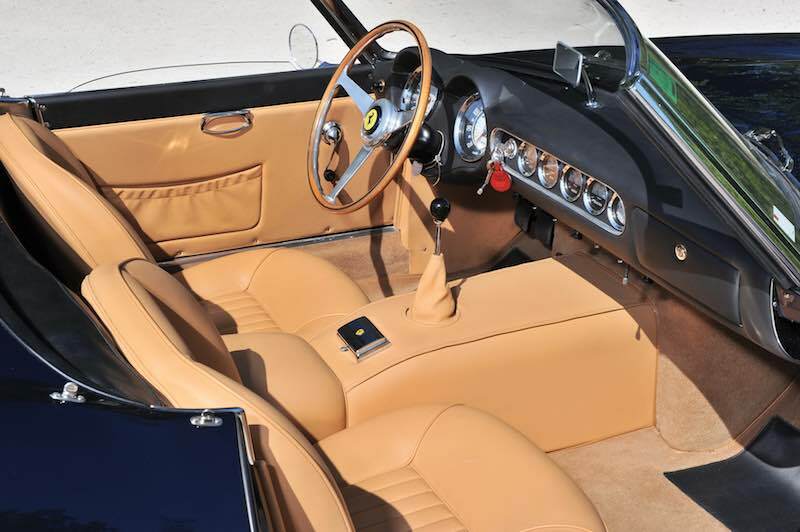 It was later displayed at the Cavallino Classic where it won the Ferrari Classiche Cup for being the finest Classiche certified automobile entered for judging. It also received a ‘Mention of Honour’ at the 2013 Concorso d’Eleganza Villa d’Este and has been displayed at the famed Museo Ferrari in Maranello (Estimate available upon request). For Ferrari enthusiasts, the California Spider leads a roster of 17 examples from the Maranello marque slated for RM’s Villa Erba 2015 podium. For those with an appreciation for the purity of the design of early Ferraris, the sale includes a 1950 Ferrari 195 Inter Berlinetta, chassis 0089/S. Shown at the Brussels Motor Show in Belgium in 1951 before being delivered new to Comptoir Automobiles Richard SA in Brussels, 0089/S was later raced in the 1957 Liège–Rome–Liège Rally. By the 1960s, the car had been sold to the UK where it has resided ever since. The subject of a restoration by marque specialists in 2003, the Ferrari certified 0089/S has since competed in the Mille Miglia. 0089/S is the third of a few Ferraris bodied by Carrozzeria Ghia (Est. €1.125.000 – €1.650.000). RM Sotheby’s 2015 Lake Como sale will also present a 1985 Ferrari 288 GTO, a 1991 Ferrari F40, a 1996 Ferrari F50 and a 2002 Ferrari Enzo, often referred to as the ‘full-house’ of Ferrari supercars. Additional late-model Ferraris set for the auction stage include a Grigio Silverstone over Cuoio 2006 Ferrari 575 Superamerica, in single ownership and showing 700 kilometres from new (Est. €370.000 – €450.000); and, a 2007 Ferrari 599 GTB HGTE, one of 10 manual-transmission examples delivered to Europe, and perhaps the only six-speed example upgraded to the HGTE specifications (Est. €225.000 -€300.000). 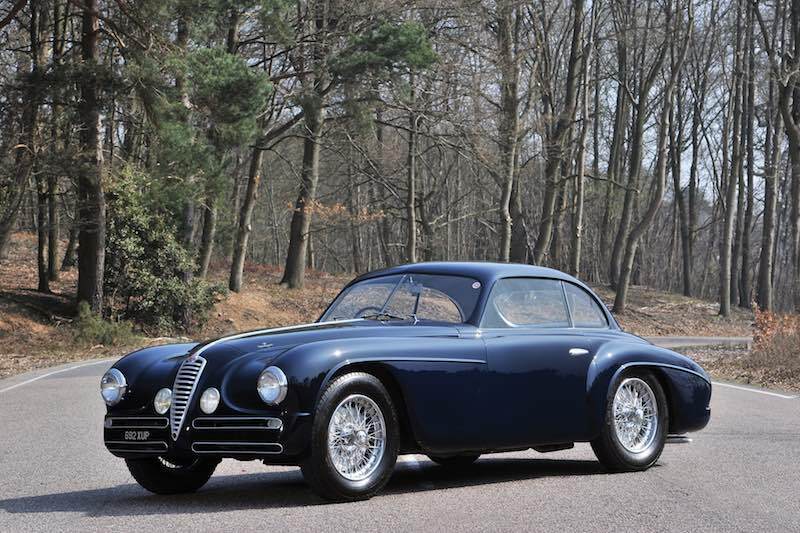 Beyond the Ferraris, the RM sale will present a selection of other automobiles, including a 1949 Alfa Romeo 6C 2500 SS Villa d’Este Coupe, chassis no. 915.882, one of 36 built and the last hand-made Alfa Romeo of its era (Est. 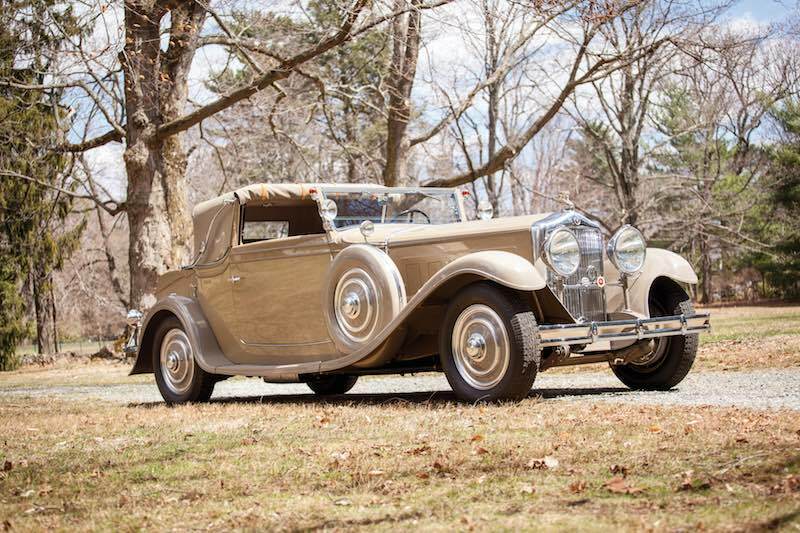 €600.000 – €750.000); and, a multi award-winning 1930 Minerva AL Cabriolet, chassis no. 80139, the only surviving Minerva AL Cabriolet (Est. €1.100.000 – €1.390.000). For further information on RM Sotheby’s sale during the Concorso d’Eleganza Villa d’Este or to view the complete digital catalogue, visit www.rmauctions.com or call +44 (0) 20 7851 7070.